Includes assets by MadCat221, Brumbek and Gamwich, so I cannot give any permissions before asking them first. This little project was initiated with a request by Rusey on my Dragon Claw replacer page. The idea was to replace all jewelry gemstones with actual transparency and depth, as opposed to flat, vertex coloured plastic. 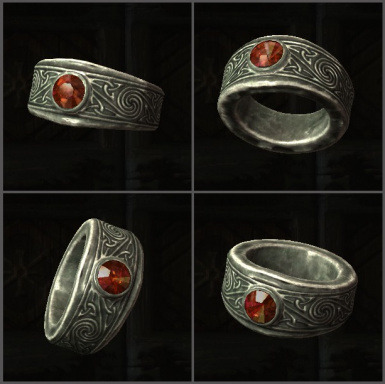 Currently covers all craftable vanilla circlets, rings and necklaces. 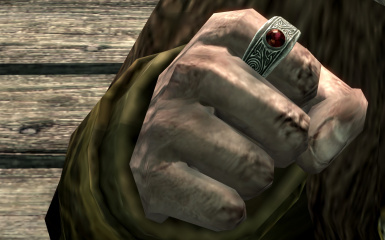 There is also a Dawnguard DLC addon that covers the vampire rings and amulets. 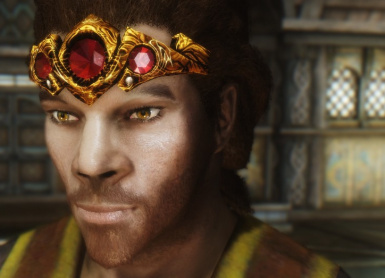 The circlet meshes included in this replacer are curtesy of MadCat221 from True Circlet Gems. 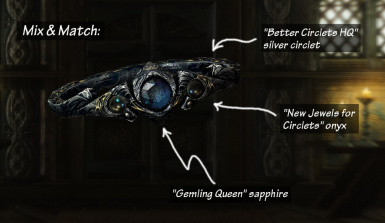 This means that the circlet gems now have a transparent outer layer and an opaque inner backside layer that will reflect light, similar to how the clutter gems are set up. 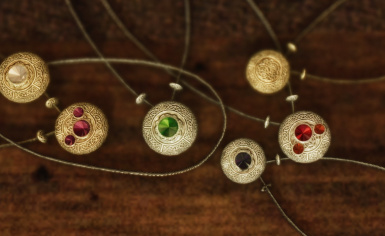 In simpler terms, the gems will sparkle! 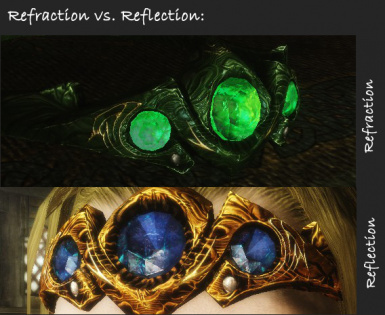 I'm talking about real reflections that change as you move, not just highlights pasted on by textures/normal maps. What I added to the mix are proper, individual textures and normal maps for all gems. Colour is now controlled solely by texture (TCG uses vertex colours) to achieve more variation and more subtle hues. The textures are hand painted to match the geometry (not just google image of a gemstone), and are 256x256 uncompressed. 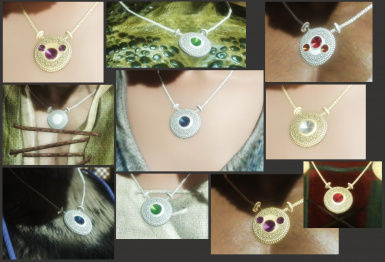 Each gemstone has a unique look and feel: the rubies are very clear and highly reflective, the sapphire texture contains many little details like inclusions and impurities, the emeralds are more cloudy than the others and have tiny cracks along the surface. The ring meshes are variations of Brumbek's work in his Static Mesh Improvement Mod. I recreated Madcat's two-layer approach and added individual textures for each gem. I also performance-optimised all rings by significantly reducing the polycount where possible without changing the shape (you will hardly see the difference, but your graphics card will thank me). 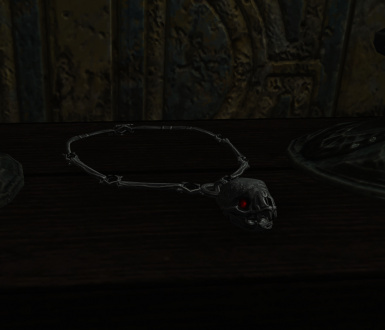 The amulet meshes are entirely my work. In addition the gems I have also vastly improved the geometry. I have smoothed out the chain to be less blocky, and the pendant is now actually round and flattened down a bit. The two beads to either side of the pendant have almost doubled polygon count and are now properly aligned with the necklace (in vanilla the chain would pass through the metal and not where the holes are drilled). All in all I've tried to keep complexity at a reasonable level, so there is no exessive detail or wasted performance. 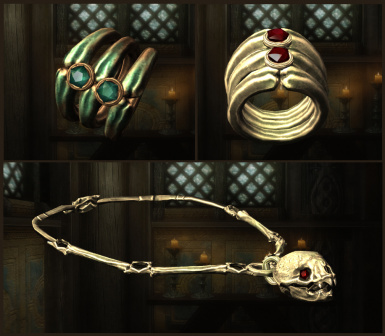 The Dawnguard content is my latest creation, here I added animated texture effects to the gems. 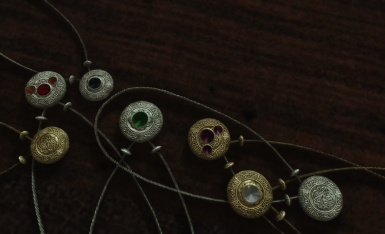 Each piece has its own magical appearance to accentuate its legendary nature - ranging from a secretive twinkle, a soft glow in the dark or shifting colours to a swirling maelstorm right beneath the surface of the gem. The animation is also visible on character when the items are equipped, which can make for some really striking combinations. I hope you like the results, but if there is aught amiss feel free to drop by the comment section. I'm always happy about feedback and requests! Screenshots are taken with Serenity ENB. They don't quite do the gems justice, you really need to see them in motion, especially the animated models. Please be aware that inventory screen lighting is a total whackjob and the gems will look different when equipped... 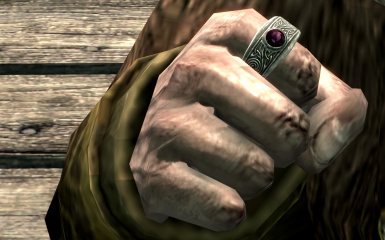 I suggest you use "showracemenu" in the console to view the circlets and amulets. Install with NMM and follow the instructions. 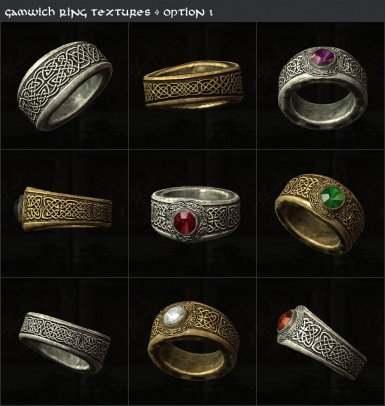 If you're installing manually, take care that you put all files in their correct folders - this is non-trivial, especially if you want Gamwich's combined ring retexture. I really suggest you let the fomod-installer do it's work. 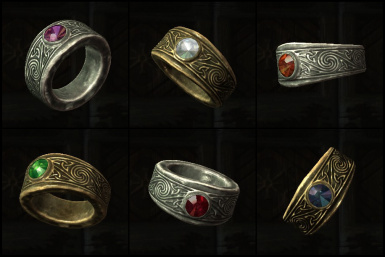 All modules are entirely standalone, so you can choose to install only the circlet replacer, just the rings or amulets, or any combination of the above. There is no danger to your savegames - just plug and play. Please see compatibility notes below when asked to overwrite files from other mods. The general rule is that my mod will not take effect if you let another mod overwrite its meshes. 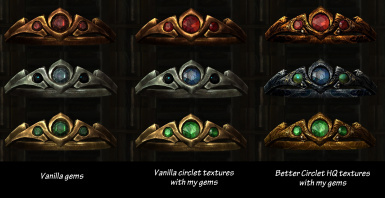 Gemling Queen Jewelry is a bit different from other replacers, because it replaces the meshes, not just the textures. 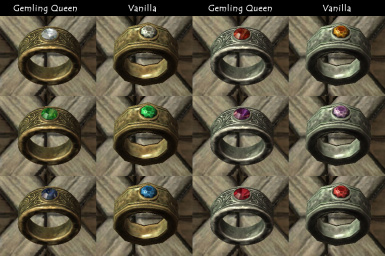 As such it will conflict with any other mod that modifies the vanilla ring meshes, such as Jewels of the Nord. My meshes are based on the new high-poly model from SMIM, so you can safely overwrite those files if prompted. 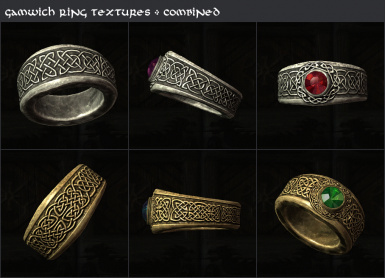 Other ring texture replacers will not take effect as I pointed my meshes at a custom texture path, so if you have AEterna Rings installed those textures will NOT be used. I have included the SMIM textures in my archive, and there is also an optional retexture made by Gamwich specifically for this mod, it comes in several variations and resolutions. 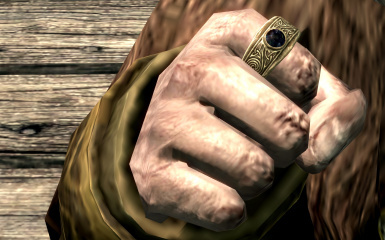 There are mesh packs available for both Left Hand Rings and Left Hand Rings Modified if you install the ring module, thanks to juf0816 for converting them. 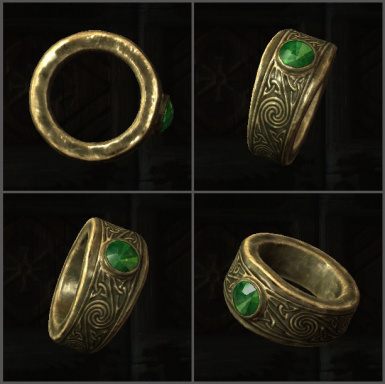 The Circlet module only affects the circlet gemstones, so it's fully compatible with mods that replace the metal textures, such as Better Circlets HQ and AEterna Circlets. My mod does not overwrite the vanilla gemstone texture (circletstones.dds), instead I have the meshes point to my custom texture path. 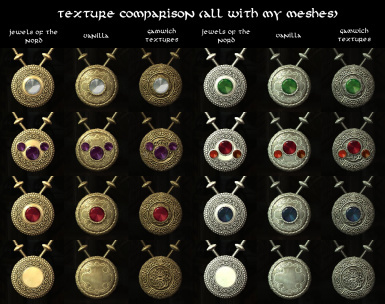 So you can still use texture replacers for the onyx and moonstone gems, but sapphire, emerald and ruby will not be affected. You can mix and match to your heart's content! In this shot I'm using the metal textures from Better Circlets HQ, but then overwrote the circletstones.dds texture with the one from New Jewels for Circlets to get the nice Moonstone and black Onyx (HQ Circlets onyx is pretty, but not very lore friendly... onyx is black, not green). My replacer takes priority for the other gems, so the sapphire is from my mod. 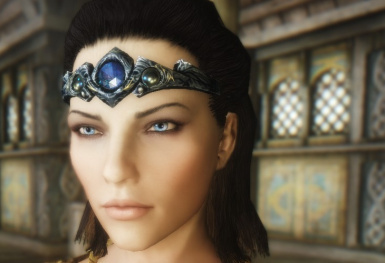 Any mod that replaces the circlet meshes themselves will be incompatible. 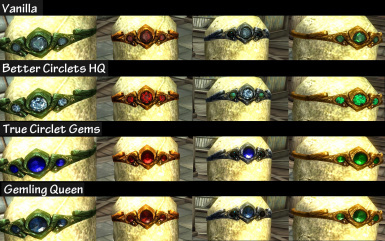 This obviously includes True Circlet Gems. If you are using Circlet Replacers for Women the female meshes will conflict, but you can still use my replacer for the males. Just install the other mod first, then click "No" when my mod asks to overwrite any files from CRfW (you still need to let my mod overwrite files from any other mod besides CRfW). 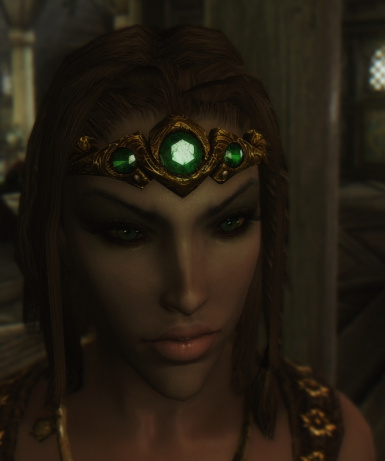 If you use Complete Crafting Overhaul Remade my mod will try to overwrite some circlet meshes from CCOR. 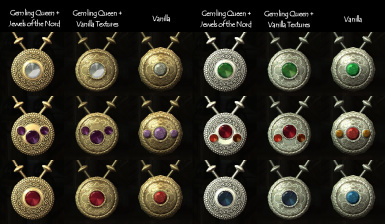 You must let it do that, or your elven ladies will wear ugly vanilla circlets. 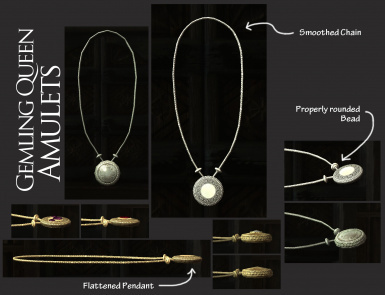 The amulet module is compatible with other texture replacers, such as Jewels of the Nord or AEterna Necklaces. 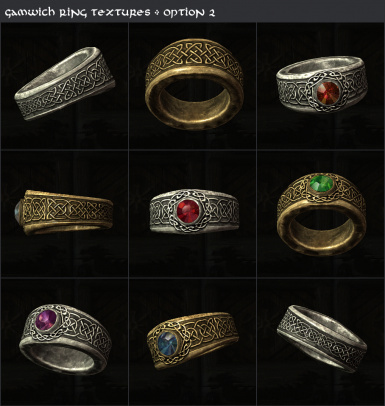 See the image section for a comparison screen of how my meshes look with vanilla textures vs. Jewels of the Nord. 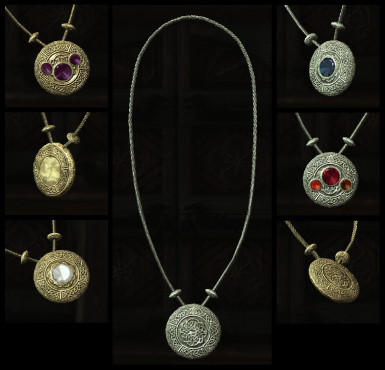 There is also an amulet retexture made by Gamwich specifically for my gems in the optional files, I can very much recommend it. See screens for a preview of how they look. 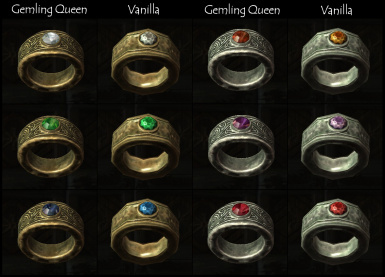 Compatible with any mod that replaces the metal textures of the vampire amulets and rings, this module only affects the gems. Will conflict with anything that changes the meshes of these items themselves. (they would just be stuck at the 100% weight mesh and not morph down along with the body). It shouldn't cause any compatibility issues whatsoever and can be put anywhere in your loadorder. 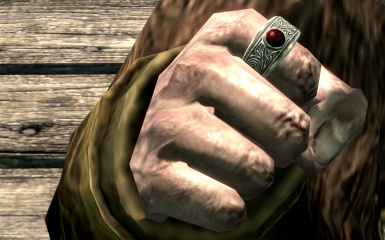 Update 27 January 2015: The weight slider fix for the Amulets of Night Power is included in the Unofficial Dawnguard Patch as of version 2.0.8 and is thus obsolete. 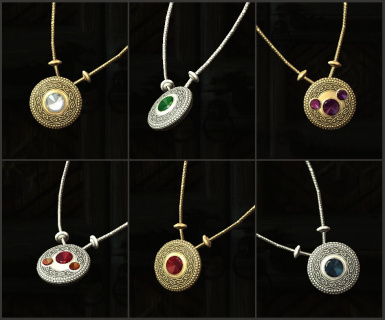 I will remove the plugin from future updates of Gemling Queen Jewelry. 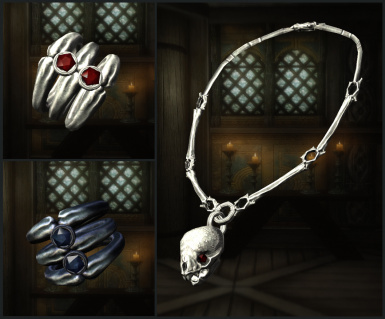 My mod currently covers all vanilla and Dawnguard craftable jewelry, so I consider it almost complete. 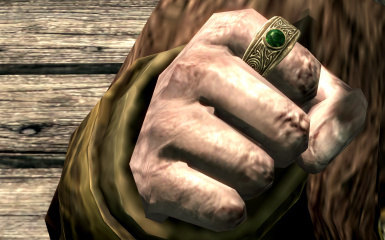 A few unique and Dragonborn items are still missing and may be added in the future. 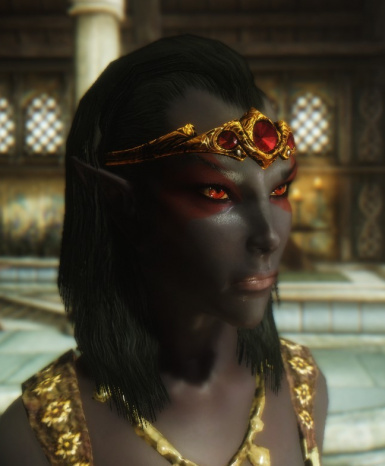 I may also include a proper moonstone replacer at some point (including a subsurface layer to capture their unique shine). 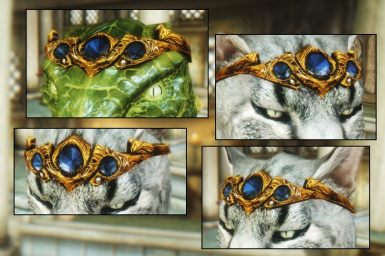 Aetherial Crown is definitely on the menu as well, and currently I am involved in a collaboration with kryptopyr (the author ofComplete Crafting Overhaul Redone) to add a lot more diversity to Skyrim's jewelry crafting system. Q: Will you cover the Aetherial Crown? Q: Will you cover the normal / flawless gemstone items? A: I'm currently working on a replacer for the loose gems and a few other gemmed treasure items, they will be uploaded to a new modpage once they're done. Q: I don't like what you did with this or that, could you please...? A: Drop by the comments section, I'm always happy about feedback! Please be respectful though, I put a lot of work into these gems and I may not want to accomodate a request if I feel it changes the original look too much. Q: The textures are blurry! Can you include a 1024x1024 super HD version? A: No. Are you insane? You can't even get close enough to the gems ingame to notice the difference! Besides, the textures are hand-painted at their resolution, I don't have a larger source file. Q: Is this compatible with...? A: Try to install with NMM. If it askes you to overwrite something, there's a conflict. Q: Your mod broke my computer! Q: Your mod broke my computer? A: Sigh. Unlikely, but let's repeat the usual disclaimer: I take no responsibility for any damage caused by using my files. This might be a good place to mention that it could kill your dog... cats are safe though. I like cats. Q: How do I kill Atziri? A: Lots of patience. And watch out for reflected damage! Nasty bugger she is. Q: Why did you handpaint all textures? Why not use stock photographs like a normal person? 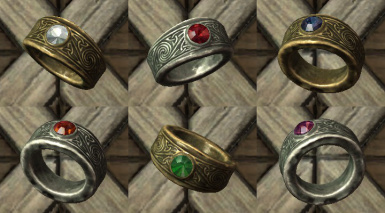 A: Ok, nobody asked this, but in case you're interested... a quick bit of research proved to me beyond a doubt that the people at Bethesda know nothing of gemstones. 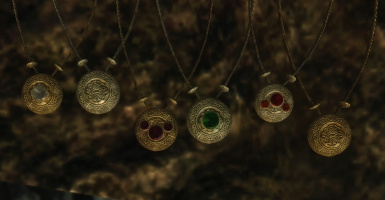 The stones used in the circlets are six-sided, but as it turns out real gemstones are very rarely cut that way (something about the angle and the way it reflects light, I'm told). More commonly they are eight-sided and more. Using a stock image of an eight-sided gem on six-sided geometry results in very weird, mismatched edges, which is why most other texture replacers look so bad. Many thanks to Madcat221 for letting me use his meshes, and for his invaluable advice in coping with NifSkope. Thanks to Brumbek for his meshes and textures. 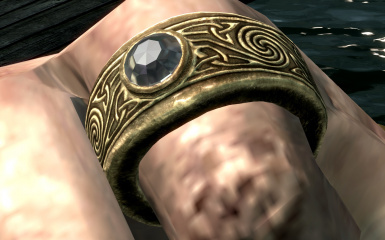 Many thanks to Gamwich for his beautiful amulet retexture. Thanks to The Fuzzy Physics Institute for his great tutorial on animated texture effects.